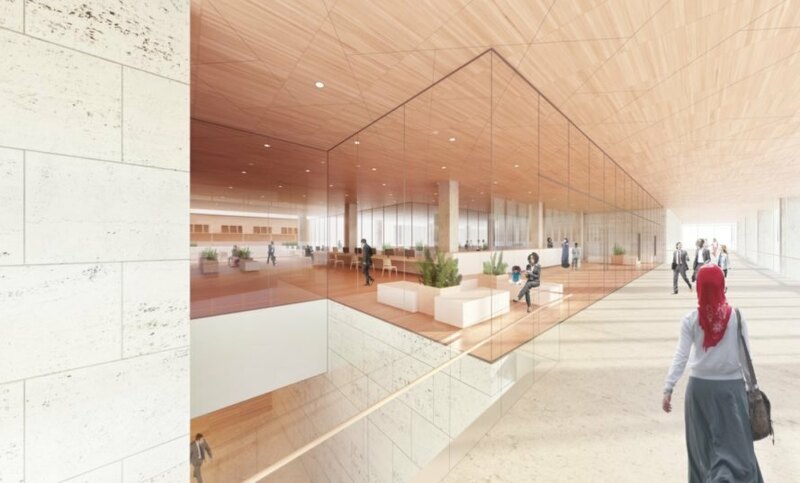 Henning Larsen Architects and MSR Design unveiled their competition-winning designs for Minneapolis’ New Public Service Building — a municipal building that will integrate the Scandinavian ethos with sustainable design. 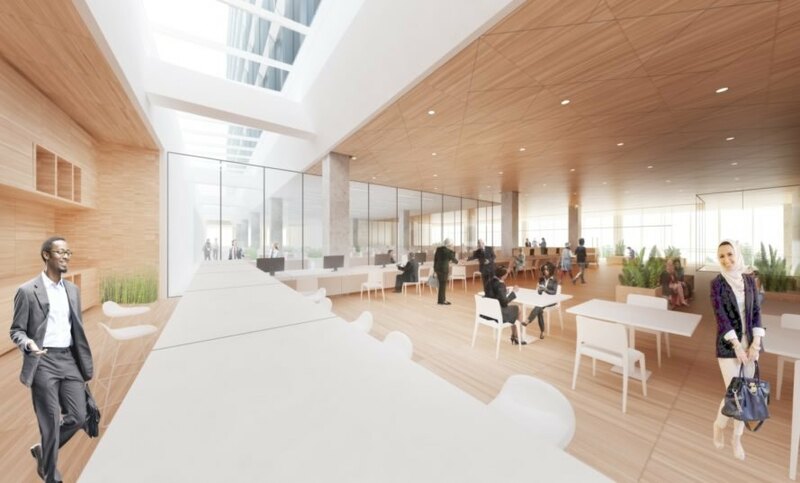 Located across from Minneapolis City Hall, the multi-purpose structure is envisioned as the city’s new face of public service and will offer healthy work spaces for city employees as well as public areas. The building is designed with the hopes of achieving LEED Gold certification. Expected to include 250,000 to 300,000 square feet of interior space, the New Public Service Building will accommodate hundreds of employees. The project draws inspiration from the abundance of greenery and parks in Minneapolis by incorporating a public landscaped plaza. 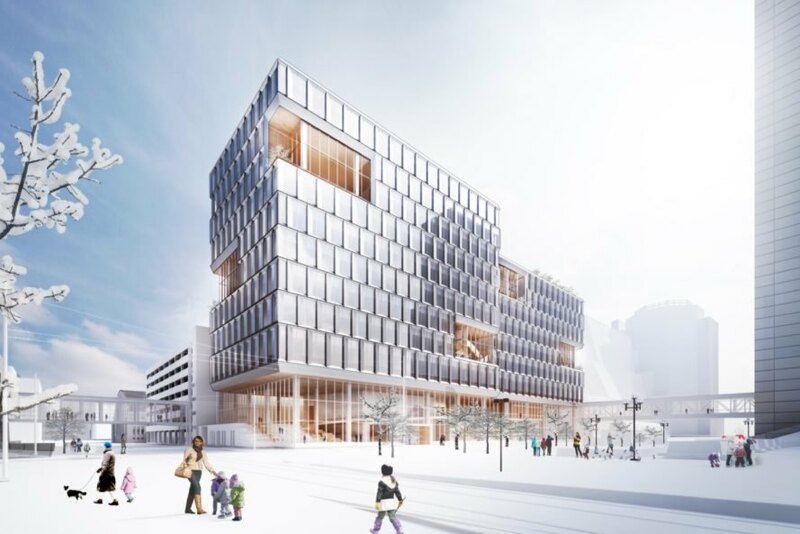 The green, open space will not only reinforce the new building’s connection to the adjacent City Hall but will also help activate the street level. To minimize energy demands, the architects used climatic simulations and analysis to determine the massing and orientation of the building. The interior design of the seven to 10-story building encourages collaboration through open stair connections and shared spaces. An optimized facade system will help modulate the amount of natural light in the building, while indoor plants and a natural materials palette will promote employee well-being. 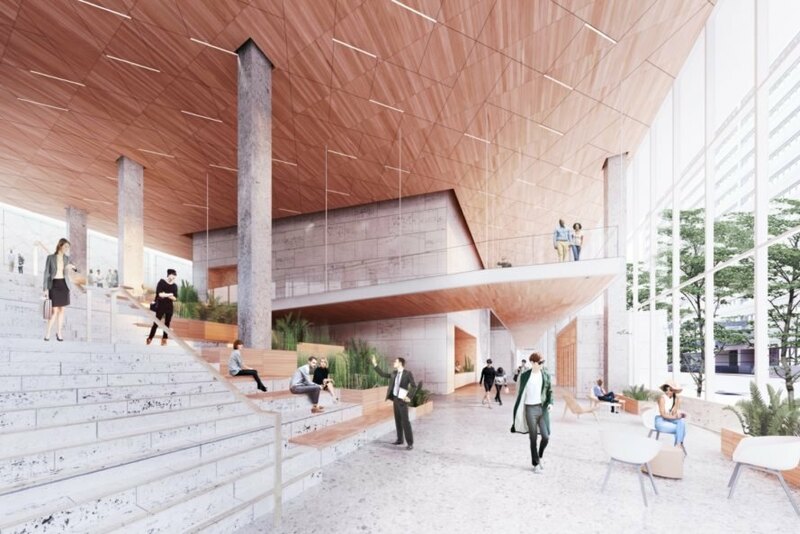 Minneapolis’ New Public Service Building is slated for completion by the fall of 2020. The New Public Service Building features sustainable Scandinavian design. The building is designed to achieve LEED Gold certification. The Scandinavian-inspired design features a minimal natural material palette dominated by timber. The interior design encourages collaboration through open stair connections and shared spaces. The building is optimized for natural lighting. 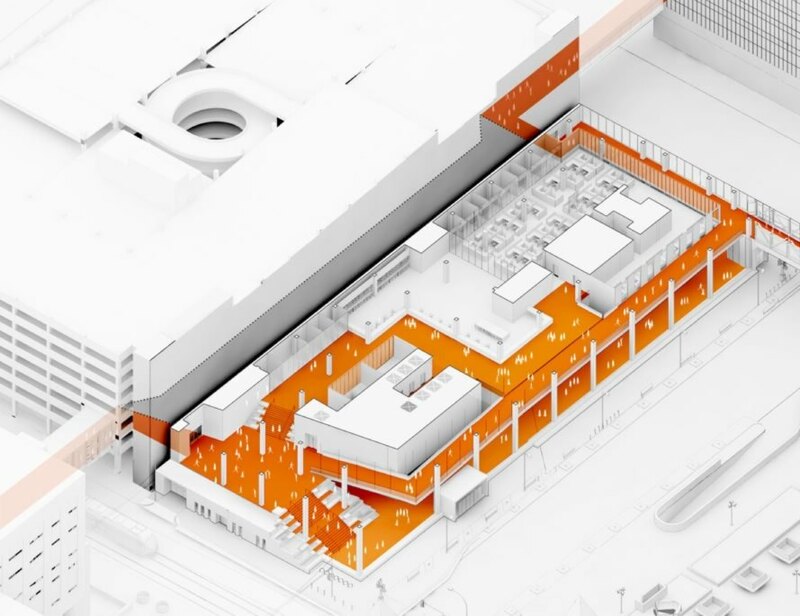 Axonometric diagram of the New Public Service Building.